Season’s Greetings! How are your Christmas preparations going? Are you up to your ears in present-wrapping, toy manual-reading, and packing like yours truly? Let’s exhale for a moment. Ahhhhhhhh. We are flying to Oklahoma City tomorrow to see family and friends for the next week…. 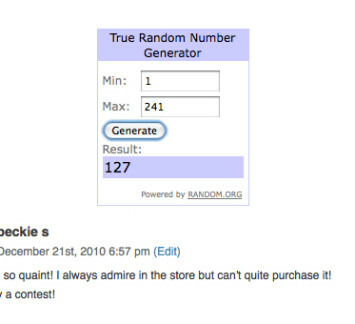 #127, Beckie S! Congratulations, Beckie! 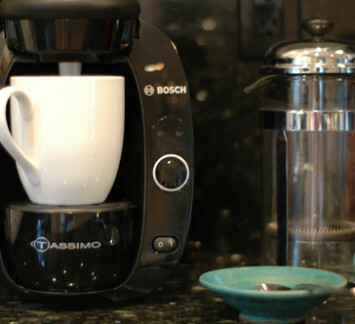 Your new Tassimo will be on its way shortly. 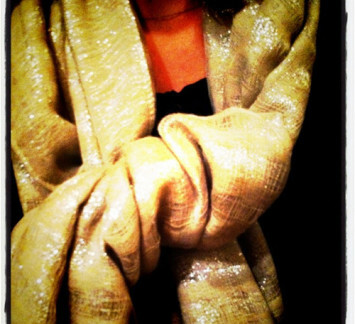 Sparkly scarf Art lights O Christmas Tree Tidings of Joy Southern California Winter Santa baby Brown paper packages Felt tags All taken with my new favorite app, Instagram. (Thank you, Metalia!) It’s all life-sharing and community and comments and awesome. 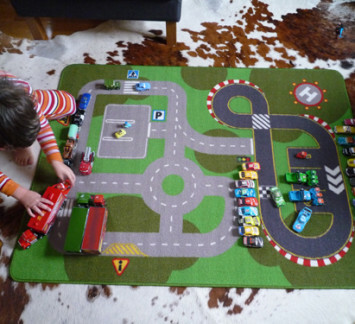 Like the old school Flickr….